Ever since I first discovered Dyson, I’ve wanted one of their vacuums. To some of my friends, owning a Dyson vacuum is even a sign of success and having your life together. That aside, I’ve finally welcomed a Dyson V8 Absolute into my home and it is as amazing as I had imagined! The V8 is super lightweight and incredibly versatile. Like any young professional, I lead a pretty busy lifestyle and cleaning isn’t really an activity that I prioritize. However, I’m also a neat freak and I hate seeing dust, crumbs and debris on shelves and floors. And admittedly, because I also work from home, my space can get a little crazy every now and then. 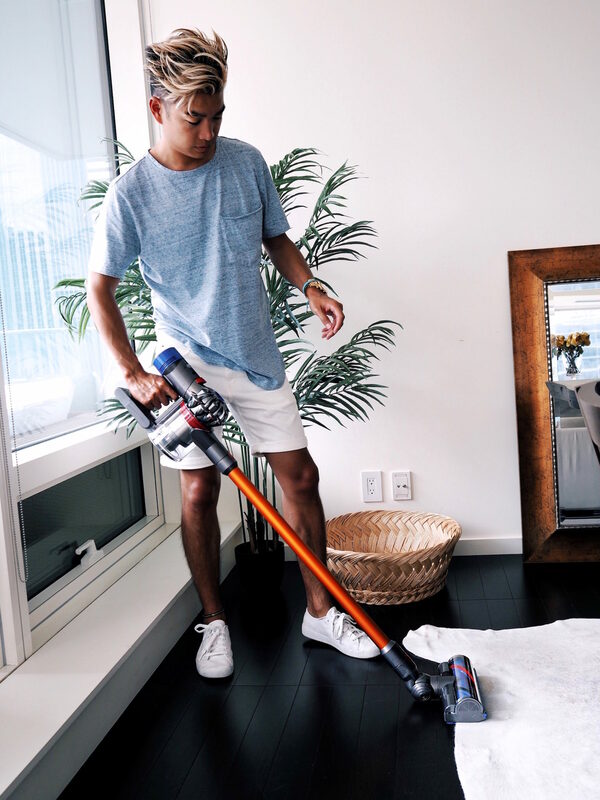 The Dyson V8 is the perfect solution—it conveniently adapts to a wide range of situations, from hard wood floor to carpet, to shelves and hard to reach crevices. It’s small and has the ability to turn into a handheld machine and it’s also cordless (major feature! ), making it easy for me to just grab and quickly tidy up with total ease. My car is another space that I can’t stand to see dust. And of course, I have a black leather interior in my car, which shows even the smallest amount of dust, ha! 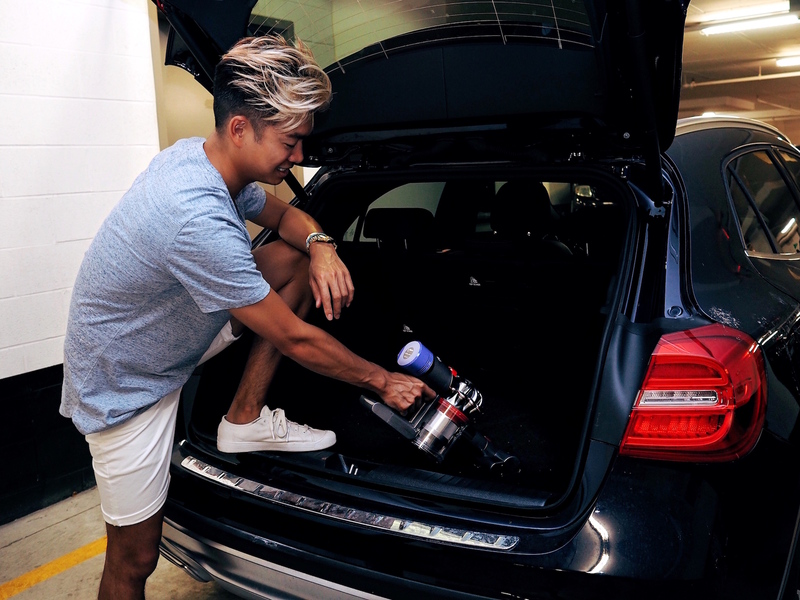 Fortunately, the Dyson V8 is amazing for cleaning car interiors. There’s no spot or tight space that can’t be reached with one of the V8’s attachments. There is even a soft brush that can be used on the windows and the dash. 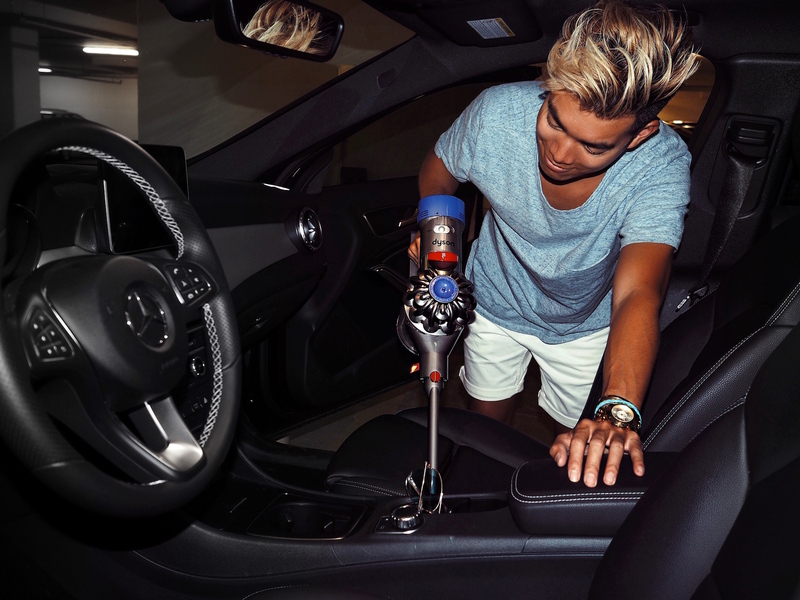 The mini motorized tool is incredible for the floors and trunk. It’s small enough and also powerful enough to have the carpets spotless in just one pass. 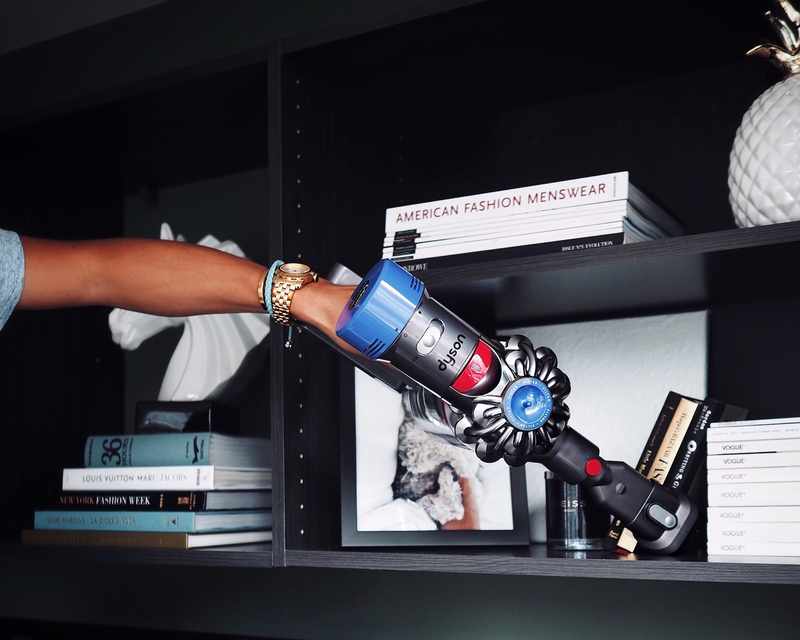 The Dyson V8 Absolute features Dyson’s newest battery chemistry, allowing it to have a cordless runtime of up to 40 minutes. Not to mention, the machine only weighs 5.7 lbs, making it easily maneuverable with just one hand. With a whole machine filtration system, the V8 captures allergens and expels cleaner air too. 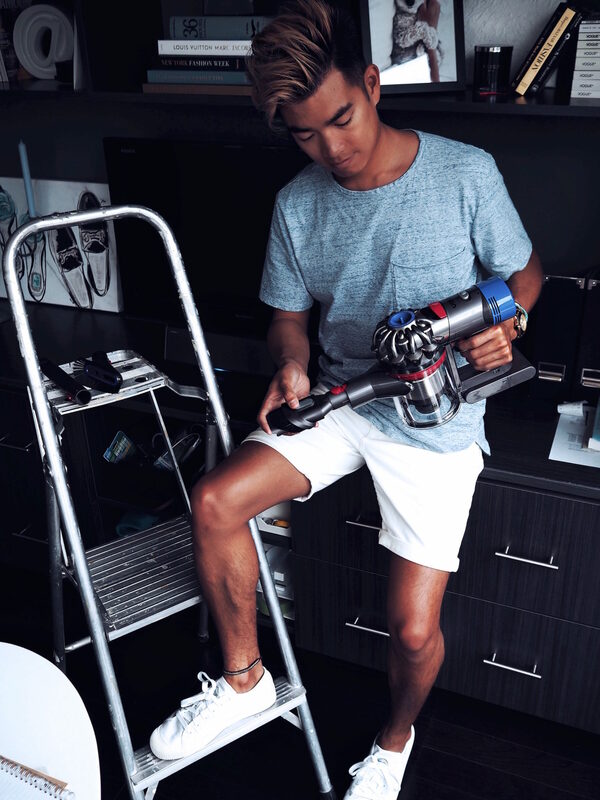 I have to say, the Dyson V8 has made cleaning almost fun… almost, haha. I definitely don’t dread tidying up anymore and it’s been a lot easier to keep my space clean at all times. And a clearer space equals a clearer mind! *This post was sponsored by Dyson. However, as always, all thoughts and opinions are my own. So sick. Now I need one. We’ve had our eyes on this for a while! We may need to get one soon. You guys definitely need one. There’s nothing like a Dyson!